Place light items like cushions etc. in bigger boxes and heavy items like books, artefacts in small boxes. Moreover, try to put lighter items on the top of the box and heavier items at the bottom. Fill the gaps in the boxes with soft and foldable things like clothes, socks etc. It not only just utilise the blank gap but also make the cheap priced removalist to move the boxes in an easier way. Keep a personal bag ready with fresh clothes and essentials for each member of the family. You will immediately need these things after reaching the new house and being tired whole day it becomes very difficult to unpack things. Make a separate bag for carrying precious items like jewellery, laptops, important files & documents, bills, electronic gadgets and some ready cash. Make sure to carry this bag with yourself. 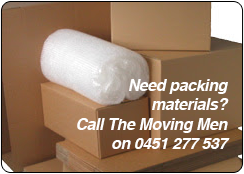 Start packing at least a fortnight before your move. First pack those stuffs which are less or rarely used. Pack your essential belongings in a clear plastic bin or boxes so that you easily get it when needed. Remove all the breakables and fragile stuffs from drawers and pack them in boxes. Fill the blank space of drawers with clothes. Drawers serve as moving boxes where you can easily place foldable things. It doesn’t make sense to spend time & energy in packing odds and ends. It is advisable to sell or donate those stuffs which you don’t need.